It’s my turn on the Game Day Blog Tour! This new fabric line by Lori Whitlock is so much fun! 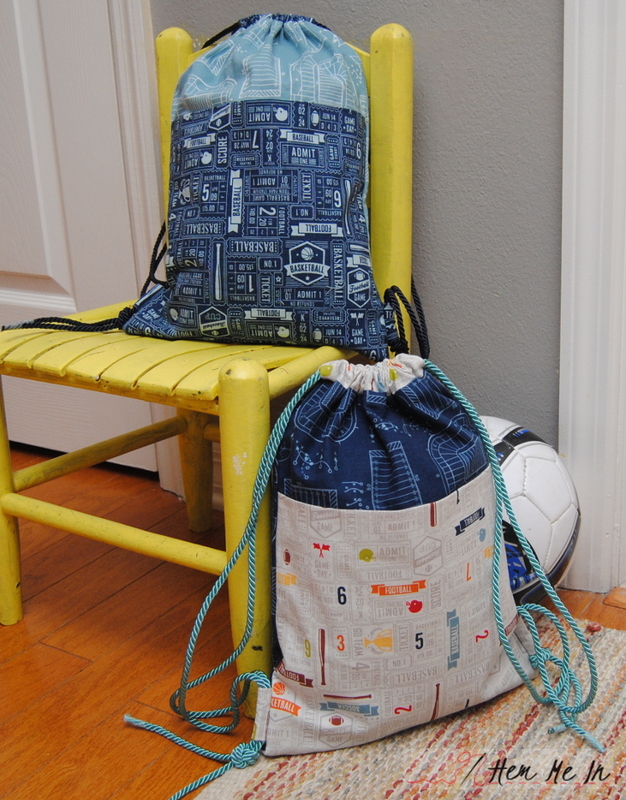 My preteens love everything sports, and they couldn’t wait for me to sew for them with it. When I asked them what they liked best about this fabric line, they told me, “It’s fun, but it’s not baby-ish!” I agree! This line of fabric has the perfect balance for sports lover of all ages, and if my preteens like it, then it has to be cool. (When did they get so picky?!) You can see the whole line right here. If your kids are like mine, their schedules are always full. 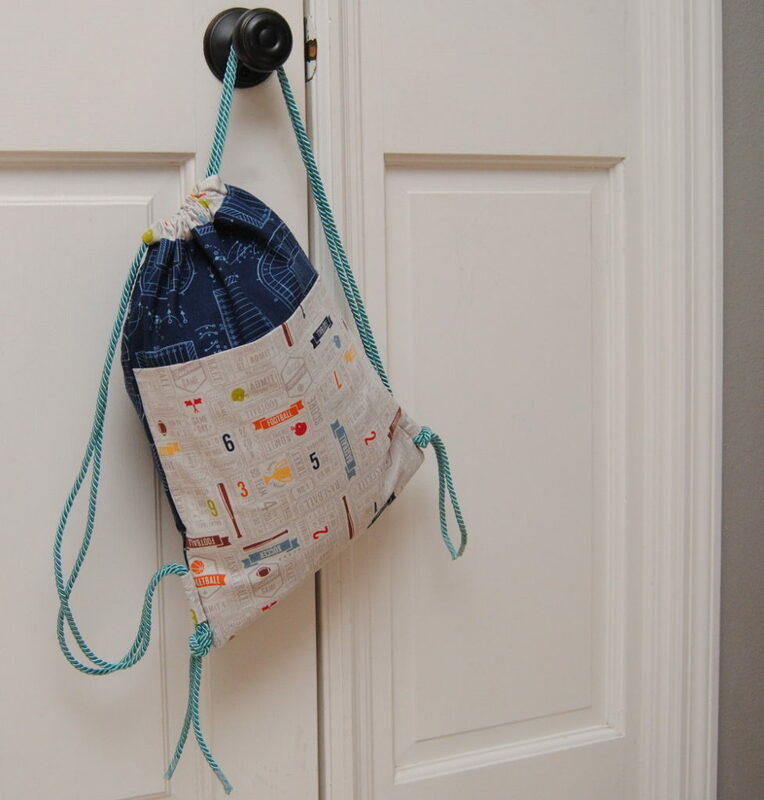 We have the addition of therapy appointments for two of our children, and we homeschool, so our kids always seem to be throwing something into a bag to keep busy … and learn something … on the go. 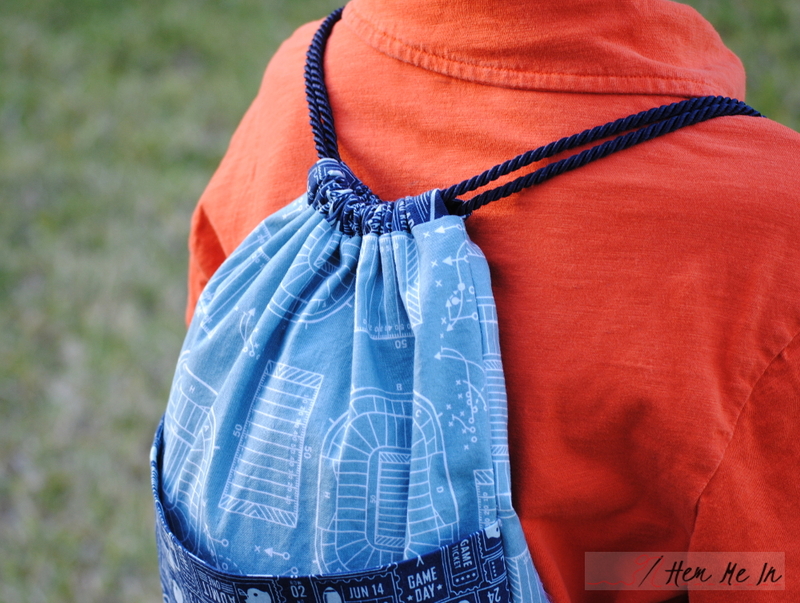 Our middle children liked the idea of drawstring backpacks. 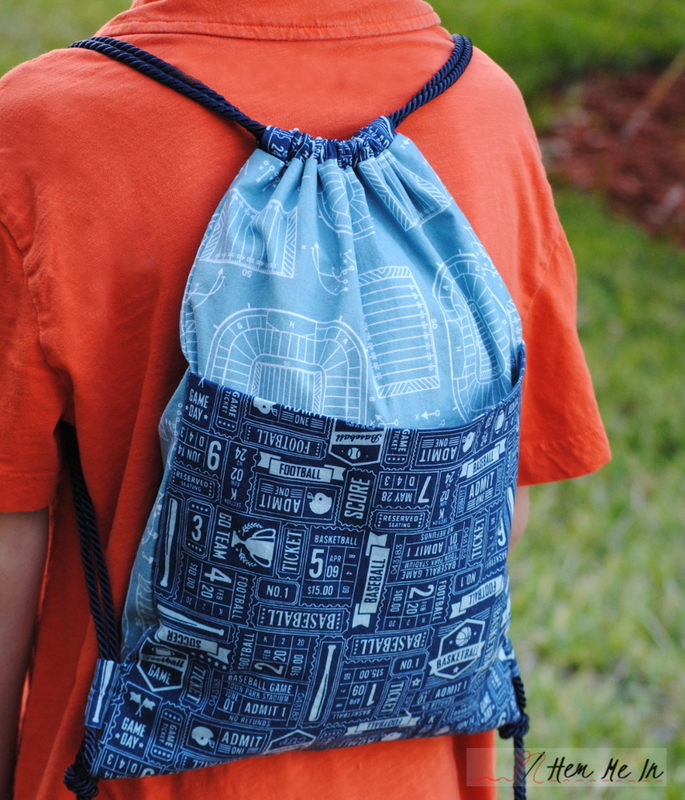 I like that when they’re empty, they don’t take up much storage space, and they’re pretty easy to sew. 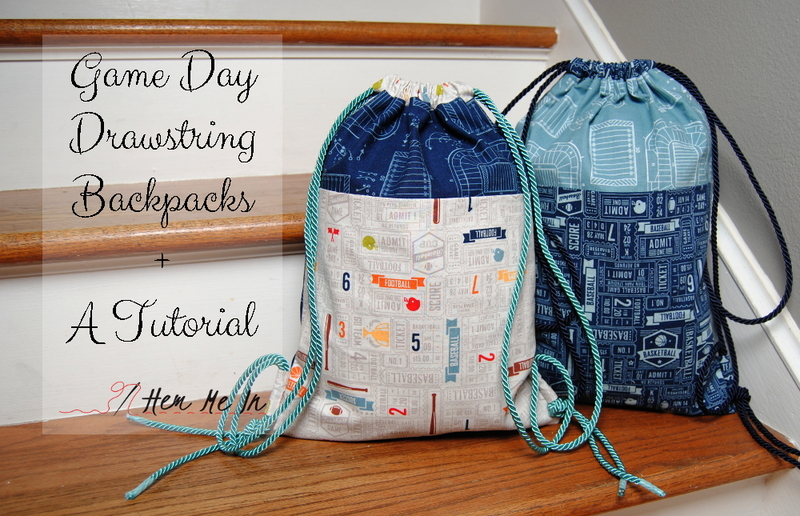 I really wanted this to be a quick-sew because my extra time is always short, and since I was already sewing, I wrote up a tutorial to share! Do you ever feel like you’ve said, “In a minute,” a hundred times in one day? Me, too! 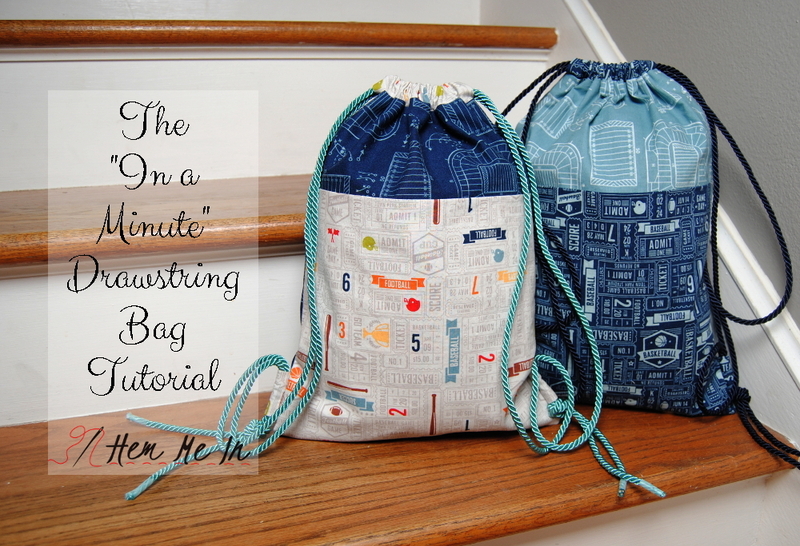 Let me introduce the “In a Minute” Drawstring Bag! For the full tutorial, just click the photo below! Don’t miss the rest of the stops this week to see some other amazing projects! « 100 Days 100 Blocks Quilt Finished! So, totally not about this post but I just wanted to say that I’m glad I found you again. I usually recommend your Undercover Boxer Briefs to everyone as I love that pattern, but I didn’t know where people could buy it anymore. Glad to see it still for sale at Girl Charlee. This is the perfect web site for anyone who would like to understand this topic. You know a whole lot its almost hard to argue with you (not that I actually will need laugh out loud). You certainly put a fresh spin on a subject that has been discussed for many years. Excellent stuff, just excellent!